Large 80 quart capacity is ideal for common collection sites throughout the office. Puncture-resistant, fire-safe, heavy-duty steel construction will not burn, melt or emit toxic fumes. Bottom is raised 1" to provide air cushion insulation in the event of fire. Color coordinated vinyl bumper tops and no-mar polyethylene feet protect furniture and floors. Units meet all OSHA requirements for waste receptacles and qualify under NFPA Life Safety Code 101, Section 31. 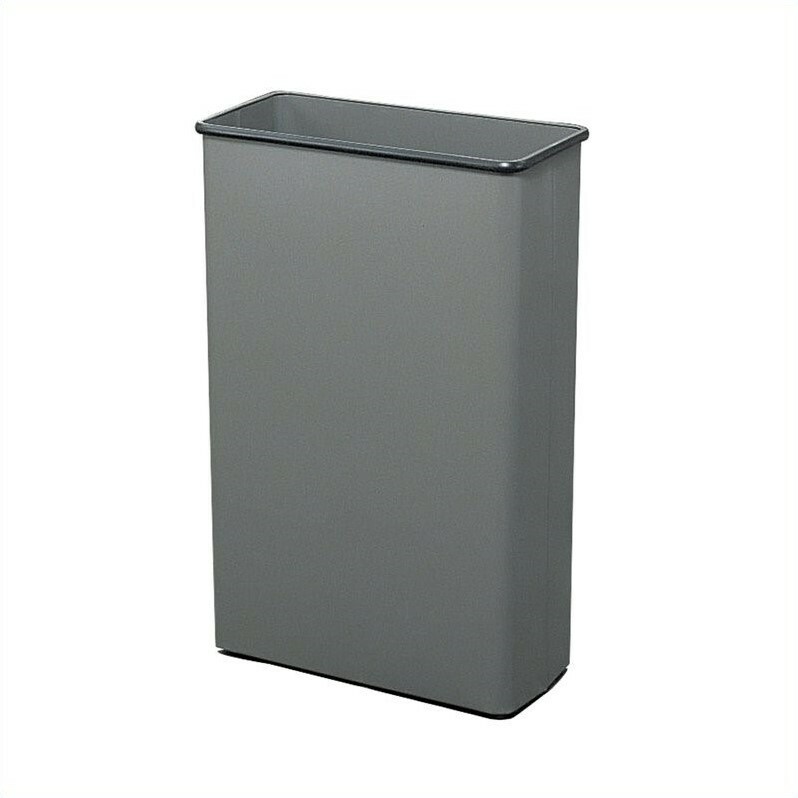 Rectangular wastebasket is available in Black, Charcoal or Sand powder coat finish. Packed 3 per carton. Capacity - Volume:	22 gal. Finished Product Weight:	15 lbs.